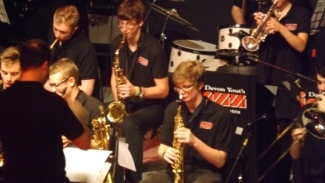 Devon Youth Jazz Orchestra is the place to learn jazz in Devon and the orchestra will once again play at this year’s festival. DYJO teaches young people from across the whole of Devon including Exeter, North Devon, South Devon, Torbay and Dartmoor to play and perform a wide variety of jazz. DYJO has won many national awards over time for its performances and educational programme and continues to play to enthusiastic audiences in Devon and beyond. Their main educational programme includes monthly rehearsals from September to March, as well as a three-day residential in October half-term. Recent performance highlight have included musical festivals throughout Devon including Dart Music Festival (of course! 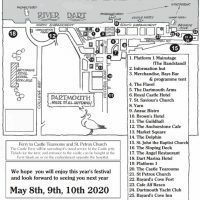 ), Teignmouth Jazz Festival, Budleigh Jazz Festival and Salcombe Festival. In addition, the orchestra have also played the Schools Prom in the Royal Albert Hall, the National Festival of Music for Youth in Birmingham and the Music for Youth Primary Prom at Exeter University. The orchestra also performed at the Montreux Jazz Festival in 2010, 2012 and 2014. Other highlights include performing at the House of Commons with local musician Mike Westbrook, concerts with jazz starts such as Dave O’Higgins, Gordon Campbell, Bruce Adams and John Etheridge and workshops with Clark Tract, Northern Sax Quartet and Issie Barratt.